Now based in Maine's Downeast/Acadia region, with 3 studio locations--and online everywhere via Skype! "Woerner is enthusiastic, encouraging, exuberant...Her suggestions were always relevant." 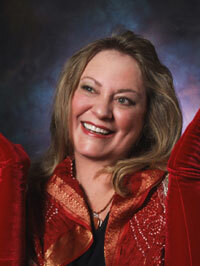 Danielle is respected as a master voice teacher from Manhattan to Maine, and for good reason. She has forged a powerful, effective method for helping students develop, out of the combination of her broad experience of musical repertoire in performance, technical expertise, pedagogical skills—plus her natural enthusiasm, humor and empathy. As a long-time member of NYSTA (the New York Singing Teachers’ Association in NYC), she has stayed on top of recent developments in her field, kept in touch with colleagues, and constantly augmented her knowledge and skills. She completed NYSTA's Professional Development program in Voice Anatomy and Physiology, Acoustics, Pedagogy, Repertoire (Classical and Musical Theater) and Vocal Health, with experts in each of these fields. She is a member of the Maine Music Educators' Association (MMEA), and an adjudicator for its annual All-State vocal auditions. Danielle not only sings and teaches an amazing variety of music—classical and operatic, musical theater, jazz and other improvisational forms, pop, folk and world music—she has delved into the performance practice of many types of singing, from Baroque to the present day. In 1993, she founded her teaching studio in the mid-Hudson Valley and New York City, originally called Woodlark Studio and then Woodlark Arts, Inc. Its mission was holistic as well as professional: to provide expert teaching to people who want to improve their voices, whether beginners or professionals, and also to include the healing component of music. 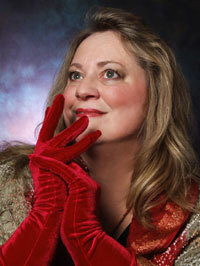 She became known as one of the premiere voice teachers in the Hudson Valley. In 2014, she brought the Woodlark Arts mission to DownEast Maine, co-founding with her husband the Sunrise County Arts Institute, Inc. (SCAI), which provides voice training plus a variety of musical, theater, literary and visual-arts activities. In addition to teaching at SCAI's studio in Milbridge, and by invitation at MDI High School in Bar Harbor, Danielle is on the faculty of the Ellsworth Community Music Institute. When we sing, our bodies are our instruments. Whatever tension or fear we hold in our bodies and energy fields directly affects the singing. Relaxation and physical awareness help to address voice and confidence issues in a supportive, non-judgmental atmosphere, while solid technical knowledge is brought to bear on solving vocal problems. As our own barriers to singing in our free, essential voices dissolve, we not only take more enjoyment in singing and progress toward our goals; we also become “instruments of peace” through the quality of vibration that we now put out into the world when we sing. IWhile maintaining private studios, Danielle has taught voice at several colleges. As a Guest Instructor at Vassar’s Drama Department, she taught private voice lessons and helped with musical preparation for the groundbreaking 2006 department production, Treaty, created by Kathy Wildberger. As a faculty member at Dutchess Community College, her workshop course was called “Finding Your Voice.” Danielle was the fall 2000 Artist in Residence at SUNY/Ulster in Stone Ridge, NY, and has been a faculty-adjunct at Bard and Hunter Colleges. Her students have performed leading roles in professional companies around the country, sung cabaret shows in Manhattan clubs like Danny’s Skylight Room, the Duplex and Don’t Tell Mama, and recorded professionally. They have attended college and conservatory programs in vocal performance and teaching at leading schools; many of them have gone on to successful professional careers as performers and teachers. Danielle has led singing workshops at retreats including the Omega Institute (Rhinebeck, NY), the Discovery Institute and Esoterica (New Paltz, NY), and has given workshops and lecture-demonstrations at schools including Bard College (Annandale-on-Hudson, NY), Bates College (Lewiston, ME), Dartmouth College (Hanover, NH), Poughkeepsie Day School (Poughkeepsie, NY), Russell Sage College (Troy, NY), and SUNY Ulster (Stone Ridge, NY). She has presented to such professional organizations as the American Guild of Organists, the Joy in Singing series at Lincoln Center, and the Network for Expressive Arts in Therapy (NEXTh), and has coached conductors in rehearsal with their choirs at numerous colleges and churches. In the area of arts and mental health, for four years Danielle worked with in-patients at the Mental Health Services at Benedictine Hospital in Kingston, NY. She has been a sought-after presenter at national and regional conferences, given by organizations including NAMH (National Artists for Mental Health) and NAMI (National Alliance for the Mentally Ill). "Woodstock diva Danielle Woerner sings the soulful waitress Rosabella -- lyric as Deanna Durbin as she melds in duos to an intimate tenderness that kindles the show past "professional" to the realer-than-life center that is its potential heart." Danielle is passionate about the importance of music in young people's lives. She taught singing and conducted choruses with inner-city children during her 2000-2002 affiliation with the Bronx Arts Ensemble's community- and school-based programs in the Bronx. With the late pianist Andrea Goodzeit, she developed a Music and Visual Arts workshop program for Horizon Concerts in NYC, which brought together elderly people in assisted living facilities with school children, to collaborate on art as a response to songs they heard. She was one of Ulster County BOCES' first Community Mentors. And she has been a visiting artist with both the Hudson Valley Philharmonic's and the Bard College/Red Hook School District's music-in-the-schools programs. In 1993, Danielle founded the Artist in Residence Program at Holy Cross Church in Kingston, which included a concert series that ran for over a decade, and was the incubator for a celebrated children's chorus, the Hudson Valley Youth Chorale. The HVYC, which continues to delight audiences locally and on its European tours, had as its founding conductor Barbara Pickhardt, and is now conducted by Mathew Camara; Danielle was the Chorale's 2005 Artist in Residence. In other community service, Danielle has always performed in benefits for arts, educational, environmental and progressive organizations--including joining actor James Earl Jones for a concert in Pawling, NY, at his request-- and she led the choral ensemble Voices for Peace. She involves her advanced students in many of these benefit activities. Her own music education began with her singer parents, Charles and Marguerite Woerner, and while still in her teens she studied jazz singing with "cool jazz" great Lennie Tristano. Among her major classical/operatic mentors were Nora Bosler, Martha Gerhart, Richard Getke, Thomas LoMonaco and Bethany Beardslee Winham. Danielle holds a B.A. in music from Bard College, and a Masters Certificate in Song Writing with scholarsdhip honors from Berkleemusic (Berklee College of Music). She also attended Barnard and Hunter Colleges, and the Université d’Aix-Marseille in Aix-en-Provence, France. Beginning to advanced singers are welcomed, with any and all musical interests, from opera to rock. Students range from highly focused nine-and-ten-year-olds to men and women over 60. Audition preparation for annual state auditions, college entrance/scholarships, and shows is available; also, effective acting for singers; sight-singing; and basic music theory and ear training. Family and musical-group lessons also available. Planning a major session and wish you could have a coach in the booth to help you solve problems and sing your best? Danielle has executive-produced two commercial solo recordings, and worked with producers and engineers in the mixing booth. Ask about her day rate. Corporate, mental health, geriatric, choir development and holistic retreat programs are all available. Successful topics already include “Finding Your Voice,” "The Joy of Singing," "Acting for Singers," "Healing Through the Voice," "Music and Art Intergenerational Workshops" (presented with a visual-arts collaborator), "Helping Your Choir to Sound Its Best" and "Chakra Balancing with Sound and Image" Danielle can formulate a workshop especially for your group's needs, drawing on her unique synthesis of mind-body work, insight, vocal pedagogy, acting and improv experience. Her lively sense of humor and her skill as a facilitator help create a safe space for participants to explore new territory. Sheet Music Plus — Want to buy sheet music, songbooks or guitar tabs? They have over a quarter million titles to choose from. Music World — #1 source for singing & musical products.